Food for thought … Stitched up: The Scottish Anti-Bedroom Tax Federation. It’s great to see that a local campaign could be mounted so quickly to demand the freedom of Steve Topley, who had been detained by police since 11th April for allegedly making a threatening comment during an Employment Support Allowance interview. DWP’s private contractor ATOS had called the police about something that must happen every day when they are subjecting people to degrading fit-for-work tests, something they have had to apologise for on other occasions. The comment, interpreted as a ‘death threat’ was about a third party not even present, and in response to a direct prompt by the interviewer. Steve, who was on JSA but had been recommended to have the interview for ESA due to illness, subsequently pleaded guilty but continued to be held. Thanks to the efforts of his family and supporters, including an independent press campaign by Indymedia and a demonstration outside the court, Steve was finally granted bail at Nottingham Crown Court on Friday 26th April 2013, at the third application. His ordeal is not over as he has to appear back at the Court in 3 weeks time for sentencing but, as of yesterday, “Steve is back with his family tonight and is in good spirits”. At the same time that Steve Topley was being bailed, evidence has been emerging of bizarre psychological warfare by the Department for Work and Pensions on claimants by the use of a new ‘personality test’ which after a trial in Essex appears to be going national. Claimants are being warned that failure to comply with the test will result in a sanction (stopping of benefits). And this is only one month after widespread adherence by Job Centres to DWP quotas to sanction claimants were exposed. With legal aid also being denied to claimants for benefits cases it appears that the government’s gloves have properly come off and allusions to torture are not as extreme as they might first appear. If we organise to fight back collectively the police will, not surprisingly, take sides. Previously the cops were called by ATOS Healthcare in Nottingham during a demonstration at its Stoney Street examination centre against their administration of the tests, which resulted in two arrests (charges subsequently dropped). This has been written up by the Nottingham activists involved in a well-researched booklet, ‘Too much of that sort of thing’ which should be read by everyone. The recent mounting of support for Steve Topley has been inspiring and will continue. This kind of solidarity is made possible by the experience of local activists who are prepared to act quickly in a case like this together with the existance of communication channels like Nottingham Indymedia. More collective effort will be needed as the effects of further Welfare Reforms come to bear. Who Wants to Evict a Millionaire? day of action today [with photo and video links]. A meeting in the Meadows last night has hopefully sown the seeds of a local fightback against benefits cuts with the beginnings of a new neighbourhood group : ‘Meadows Against the Bedroom Tax’. Now the new parts of the Welfare Reform Act are being implemented, households are already getting demands from the City Council for the Spare Room Subsidy which is better known as the ‘Bedroom Tax’, using what the Council thinks they know about occupancy from Housing Benefit data. At the same time a Council Tax benefit cut has been put in place which means people of ‘working age’ who had 100% rebate are being told to pay 8.5% this year, increasing to 20% next year, although some people are exempt, like pensioners. Many people of working age (who are unemployed or on low pay) are being hit with both at the same time, taking benefits down to less than the £53 a week that Iain Duncan-Smith reckons he could live on. Annual benefits increases have also just been limited to 1%, well below the rate of inflation. Because of the above and other changes and due to the dire general economic situation and price rises of essentials, hardworking advice workers & volunteers and independent initiatives such as https://www.facebook.com/Ng7FoodBank are also distributing food to individuals and families who literally have no money at all. 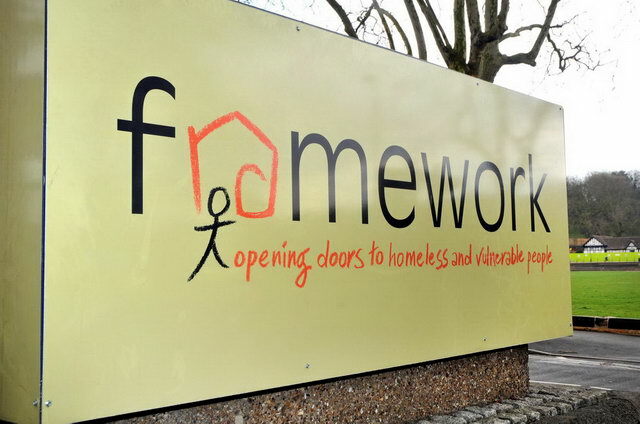 An advice worker from the centre in St. Ann’s reported 135 people accessing a food bank in the old laundrette on Robin Hood Chase where a ton of food was distributed in the first week alone. Access to crisis payments have also been massively hit and groups are also having to organise donations and distribution of appliances (cookers etc.) as a breakdown will no longer be dealt with. This is the reality of the cuts right now, plus the new Disability Living Allowance came in on Monday, called the Personal Independence Payment. Access to PIP will be heavily tested in the same way as Incapacity Benefit/Employment Support Allowance was in the last few years by a tickbox form scheme (run on behalf of the Dept. of Work and Pension by a private company ATOS Healthcare). Nasty changes have been put into PIP, like the maximum distance you can walk has now got to be down to 20m (rather than 50m) to be able to get help with mobility, for example. People already on DLA will be facing testing over the coming years and everyone will be subject to retesting from then on. Some of these changes are being opposed in the courts (e.g. PIP mobility) but this is time-consuming and stressful for the individuals involved, and to cap it all Legal Aid has just been taken away from benefits cases so fighting back this way requires money or lawyers who are prepared to work for free (although ask your Advice centre about what else might be available). As we have seen with workfare, the government is also quick to challenge and sidestep legal gains by amending the rules. In the Poundland case, the Labour opposition helped the Coalition prevent a benefits payback to claimants after the legal win. The Welfare Reform Act has been designed to allow flexibility in implementation which is making room for legal challenges but also means it is hard to see what is coming up, and for every win there are losses which sap energy and confidence. After a period of little widespread neighbourhood activity in Nottingham since the 1980-90s, there are now signs of renewed grassroots political organisation against the reforms. Nationally, groups like London Coalition Against Poverty and networks such as No To Welfare Abolition have attempted to weather the storm throughout the period of New Labour to where we are now with the Tory/Libdem Coalition which is pushing through the latest attacks on benefits. Locally the Anarchist Federation Nottingham group has most recently supported direct action against ATOS and providers of workfare (mandatory work activity – the other side of the benefit cuts for many claimants). This has on occasion resulted in repression by the police, but this has also been successfully resisted and charges dropped by the efforts of spontaneous solidarity initiatives like Nottingham Defence Campaign. Other grassroots initiatives supported by Nottingham AF that have arisen in the last few years include Notts UnCut (part of UK Uncut) – which has focussed on the tax paid (or rather not paid) by high-street shops and charities, many of which are now also saving money using workfare victims, and Notts Save Our Services, a broad anti-cuts coalition that was active from 2010-12. Both of these campaigns drew from a wave of activity that started with the student protests and occupations in 2009-10 and were replicated across UK cities and towns. Also, inspired by the Office Angels temping agency victory (a Solidarity Federation national action supported by the Anarchist Federation) and a speaking tour by a Seattle-based organisation, Seasol, the idea of Solidarity Networks has taken off, which in Nottingham has had some successes against debt collectors and dodgy employers who have not paid for work done (see https://nottsblackarrow.wordpress.com/2012/03/05/nottingham-solidarity-network-call-out/ for one of the actions Nottingham AF supported, and was supported by). Nottingham IWW is also involved with anti-workfare activity. In the later 1990s anarchists were involved with Nottingham Claimants Action which campaigned against the earlier welfare reforms which saw introduction of the Job Seekers Allowance and the earlier workfare schemes of the Major and Blair governments (Project Work and the New Deal). This also drew on some of the lessons learned from anti-poll tax campaigning of the late 80s/early 90s which involved both mutual aid and direct action, and was part of a broad anti-JSA network called Groundswell which shared experiences and knowledge. Organisers of the meeting in the Meadows from Notts Against the Bedroom Tax and Nottinghamshire Defend Council Tax Benefit Campaign (many with experience from the anti-Poll Tax days through to Notts SOS and Notts UnCut) made it clear that to mount a successful campaign this must be organised in the neighbourhoods where people live and know each other. Solidarity gets a quick start that way. The danger as always, from an anarchist perspective, is that the party political affiliations of individuals can often be hidden, and so hierarchies and agendas are not explicit to the eventual detriment of the campaign. This is why Nottingham AF members always identify themselves as such in meetings and always aim to foster maximum and equal involvement in the decision-making as well as legwork in campaigns we support. In addition the hypocrisy of any Labour Party pretence of opposing the effects of welfare reform as a counter to the ‘Tories’ must be exposed at every turn, especially considering the Party’s deep involvement in the ongoing drive to ‘claims management’ where allowances have become heavily-tested benefits and the idea of a ‘social wage’ has been eroded to almost nothing since the 1970s. Self-organisation has to be the way forwards! We hope that these and other seeds of fightback will result in a vibrant culture of solidarity that is able to resist the wider attacks on welfare, something which could also be generalised to a renewed wider mass struggle against austerity.